Our understanding of the alt.right is confounded by the mischief of the male Internet troll. Anonymous trolls suffer from alienation and powerlessness. They seek recognition and infamy by interrupting, frustrating, and making trouble. These men need love, not destruction. Ideas are not killed by destroying the men associated with the ideas. Been there; done that. Murdering Christ, Gandhi and Martin Luther King, Jr. did not destroy their ideas. The persecution of religious people does not destroy their religions. 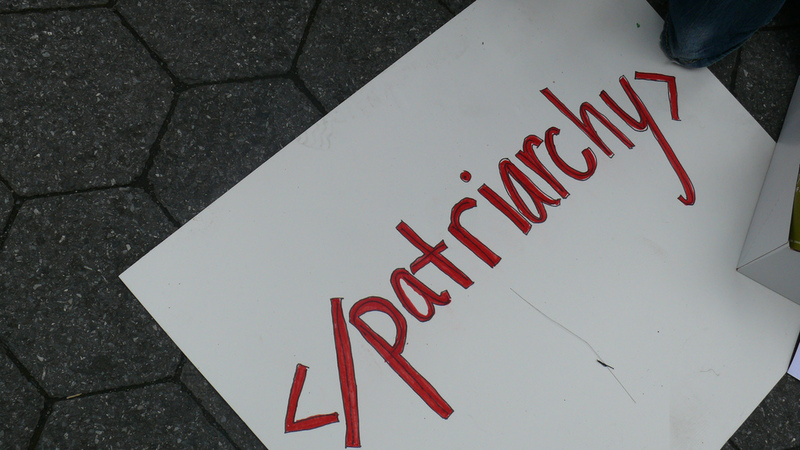 Destroying misogynists will not prevent the reemergence of misogyny. World War II destroyed 70 million people, but did not destroy fascism. A half-articulated fascism is sweeping across “democratic” Europe today. This is the scandal that needs more exposure. This is a great betrayal of the suffering and sacrifices of our ancestors in World War II. Bernard, I'm not sure who you are arguing against, with your references to murder and destroying people. Three Way Fight is about combating fascist and supremacist political movements and oppressive social systems, not murdering anyone. But if your preferred strategy for dealing with far rightists is love, maybe you should try that out with the previous commenter on this thread. (If you don't know who he is, look it up.) The results should be interesting. Matthew: Above, you favorably contrasted Tom Metzger's position on women with the hateful misogyny that you now see on parts of the Internet. Thanks for posting Tom Metzger's response to you. You note to me that my “preferred strategy for dealing with far rightists is love.” and suggested that I “should try that out with” Tom Metzer. I like your suggestion, but make bold to turn that suggestion back on you. I suggest that you extend the brief exchange by responding without hate to Tom Metzer's comment. I don't engage in dialog with Nazis. And I did not "favorably contrast" Metzger's racist quasi-feminism with anything. It's simply a different brand of poison.